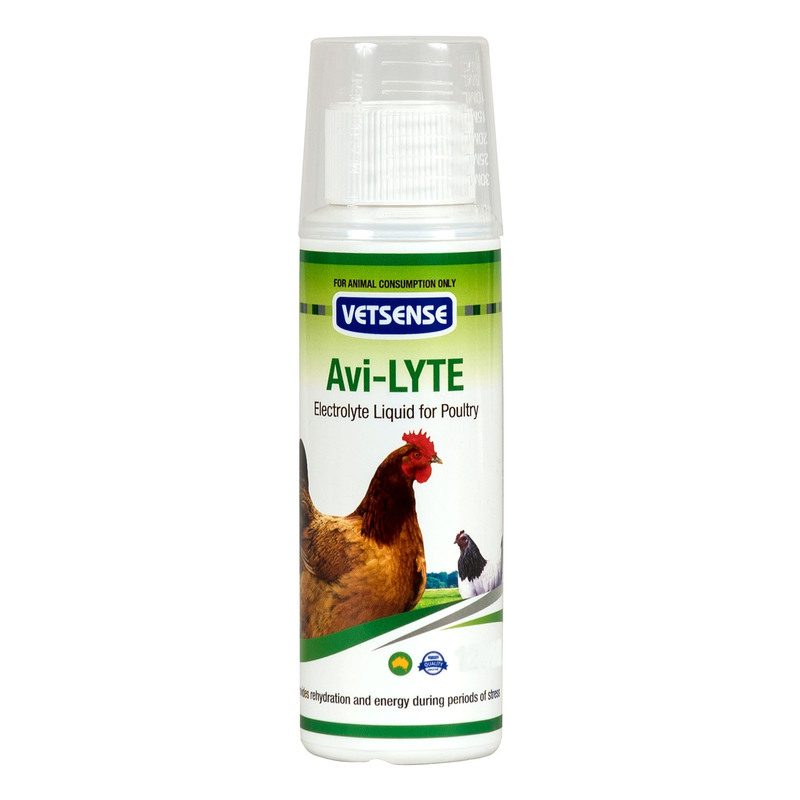 Vetsense Avi-Lyte Liquid Electrolyte For Poultry is a liquid formulation that energizes the body and replaces electrolytes lost in periods of stress like hotter days, illness, transportation and vaccination in poultry animals. Recommended by most vets, the energizing electrolyte also helps in enhancing the eggshell quality in hotter days when mixed with calcium supplements. Avi-Lyte contains electrolytes like Potassium ions, Sodium ions, Chloride ions, Magnesium ions and Glucose. Mix 4mL in 500mL of water for each bird. 4ml quantity is per 2kg weight and make sure to administer every day in hot weather conditions. This product can be directly given to birds without mixing it with water just follow the 4 ml per 2kgs of weight dosage pattern. Avi-Lyte can also be given to Birds .Follow the same rate of use - 2mL per 1kg body weight. Keeps the poultry animals energetic. Wear suitable gloves when handling or applying the product.